JAKARTA, INDONESIA--(Marketwired - Sep 22, 2015) - gridComm, a provider of power line communication (PLC) solutions that enable the transformation of traditional power grid into a smart grid, today announced that it has signed a partnership agreement with a leading LED manufacturer in Indonesia, PT Siklon Energy Nusantara, to jointly provide a cloud-based Street Light Management Solution to the Indonesian market. Given Siklon's leadership and expertise in LED lighting and advanced production facilities, the partnership enables the delivery of a complete Intelligent Street Light Solution tailored for Indonesia. Field-proven for robustness and reliability, gridComm's Intelligent Street Lighting Solution serves as a cornerstone of a 'Smart City' with a reduced carbon footprint. 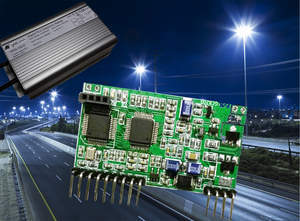 Based on the company's GC2200, the next-generation OFDMA (Orthogonal Frequency Division Multiple Access) PLC transceiver, gridComm's Intelligent Street Lighting Solution transforms traditional street lighting into energy-aware, remotely managed and monitored web-based networks. Smart City is the latest catchword in urban planning around the world. Smart Cities encourage the use of technology to improve governance and enhance citizen well-being, while at the same time reducing costs by increasing productivity. Jakarta has already launched the Smart City blueprint, which connects citizens and government agencies through the cloud. The natural next step for the city will be to transform its 350,000 street lights into smart street lights, a move that gridComm and Siklon are well-positioned to fulfill. "gridComm not only brings reliable and robust power line communications, but also an easy-to-use, feature-rich Smart Street Light solution that allows us to easily and quickly deploy our smart LED lighting," said Sigit Julianto, CEO of Siklon. "This, combined with the high-level of support and our competitive pricing, made us one of only four companies to win the Jakarta smart street light tender, which will total 50,000 units this year. Volume will increase significantly over the next few years as Jakarta replaces existing traditional lights. We are excited to be at the forefront of the Smart City revolution that is coming to this region, and we look forward to working closely with gridComm to replicate our success in other cities in Indonesia." "With state-of-the-art LED lighting and capable technical staff, Siklon, as the first and only LED street lamp manufacturer in Indonesia, is a great match for us," said Mike Holt, CEO of gridComm. "As Indonesia embarks on its Smart Street Lighting Initiative (SSLI), our companies make an ideal team for addressing their needs. We are proud to be selected by Siklon as a strategic partner to deploy smart street light solutions in Indonesia." PT SIKLON ENERGI NUSANTARA was founded in 2009 in Jakarta, Indonesia. The company is a subsidiary of PT Caturmukti Pratama. With the motto "Brightening the world through green energy," PT Siklon Energy Nusantara is the first Indonesian renewable energy company to establish production facilities in Indonesia. PT Siklon Energy Nusantara specializes in producing LED lights, solar panels and deep-cycle gel batteries, all in one factory. gridComm provides power line communications semiconductors, devices and systems that enable the transformation of the electricity grid into a smart grid. By connecting utilities to their customers, gridComm's semiconductors, modules and DIN Rail PLC modems help to transform meters, streetlights, homes, and industrial buildings and other appliances into energy-aware "smart devices" that react to conditions on the grid, thus implementing a worldwide communications network or Internet of Things (IoT) based on the existing power grid. gridComm is headquartered in Singapore. gridComm's Intelligent Street Lighting Solution transforms traditional street lighting into energy-aware, remotely managed and monitored web-based networks. The city of Jakarta's 'Smart City' blueprint includes transforming its 350,000 street lights into smart street lights, a plan which will be implemented by gridComm and PT Siklon Energy Nusantara.